When our group worked on the unemployment assignment, we mentioned that an increase in female workers might account for some of the changes in the statistics. This was helpful to see. Did women start entering the workforce en mass at a similar time to that in the US? 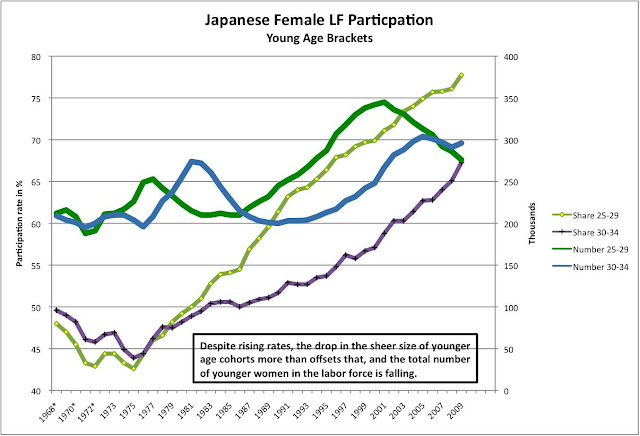 You can look for comparable US data, I believe the 1950s-early 1960s look more like Japan but I've never checked. The Bureau of Labor Statistics web site will have the underlying data, the Statistical Yearbook for the US probably does as well if you want to check a single year. 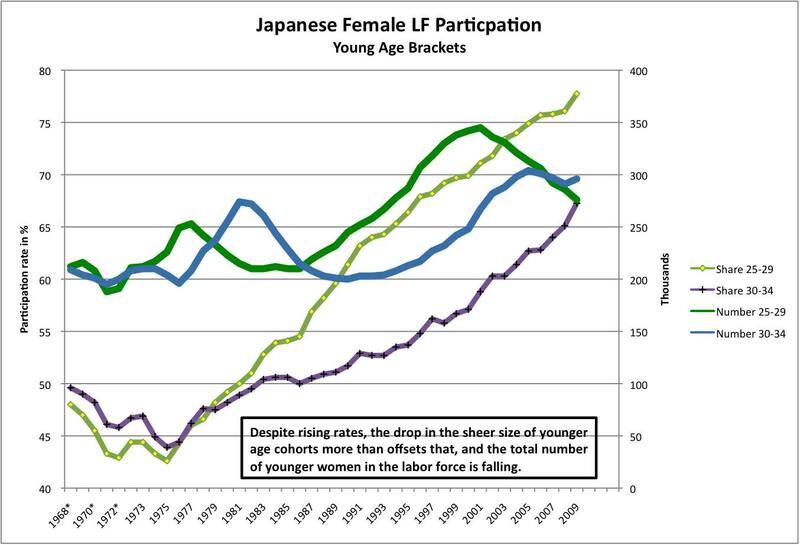 Unemployment in Japan however was not affected by this trend: women didn't push men out of the market.